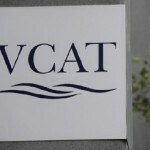 VCAT hearing – starts tomorrow. The third VCAT hearing on the Timber Yard development starts tomorrow (Monday 3rd Feb). The develop is hoping to overturn the Councils permit refusal decision. Council will present their case tomorrow. Calling their expert witness. Representatives on behalf of residents will likely present their case late Monday or Tuesday. The developer will likely present their case Wednesday, Thursday, and maybe Friday. Calling five expert witnesses. These will be cross-examined by council and residents representatives. Can you come to the hearing to show your support in front of VCAT? Even for just an hour is beneficial. If you can make it please come. VCAT office: 55 King Street Melbourne. The VCAT members hearing this case are the same as heard the previous case.